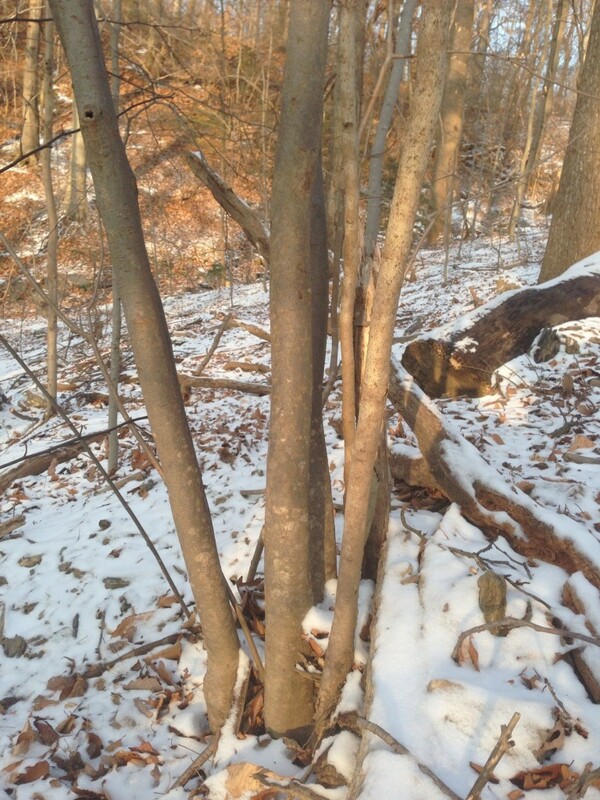 Hamamelis virginiana, Witch-hazel, bark and trunks. Multi-stemmed shrub with a grey and silvery smooth bark. Photographed in the Wissahickon Valley Park, near blue bell hill on February 3rd, 2013.